Observation - fruticose lichen - UK and Ireland. 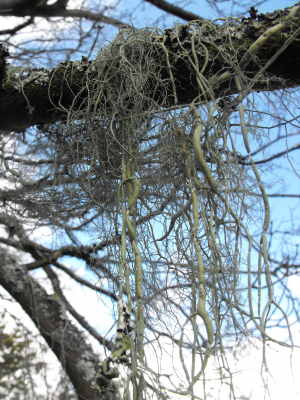 Description: very large lichen, 6inch of growth down from the branch. very large lichen, 6inch of growth down from the branch.